TheTeam: Thanks for doing this for us. Would you be able to share with our friends and maybe something out there - who is looking for a realtor - why did you (out of so many realtors) pick Fanny Lee as your realtor? Sandy: I picked Fanny. First of all, I saw a lot of signs with Fanny's name and pictures in there. When I went on to her website, I watched a few of testimonials from her clients and got really good reviews. That is why we contacted Fanny to help us with looking for a house. I thought she is very professional, very prompt in getting back to us through email, text and phone. She really gave us a lot of advices that we are looking for. Or we didn't know that we needed to know. She would tell us a lot of different things about the house. She is very experienced. Neville: She is very knowledgeable and she is very informative. She is very prepared when we go to look for a house. She is actually able to tell us about all the good thing about the house. Obviously, there are sometimes bad things, she wouldn't hide that. She would actually tell us why this is not a good if you are buying this. So she gave us the chance to consider whether it is going to be the best house for us. She would actually tell all the pro's and con's of buying this house, why is this a fair market price or maybe the house is overpriced. She actually would be able to tell us all the information that we need but probably won't be able to find out ourselves because we really don't know the market price. We can always anticipate what is the price going to be. We probably think that everything is always higher than they asked for because we assumed that the price is higher than what they wanted. But at the end of the day, she actually gave us a lot of research to tell us what is the average price, sold prices, so this is very informative. TheTeam: If you are going to buy, sell, invest in a property, would you call Fanny again? Neville: She is always going to be the first choice of mine unless she is too busy to help me out. TheTeam: Never too busy for you guys. Ok, thanks a lot. 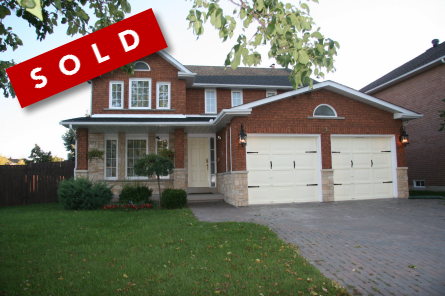 * SOLD * Beverley Acres, a Richmond Hill area along between Bavyview Ave and between Highway 7 and Elgin Mills, where Bayview Hill (富豪山莊) is one of the subdivisions, is where educated, we-to-do families raise their children and flourish. Shopping plazas, schools, community centres, churches and parks are within a few minute drive. As such, it is a well-sought-after community. - new listings dropped by 10%. 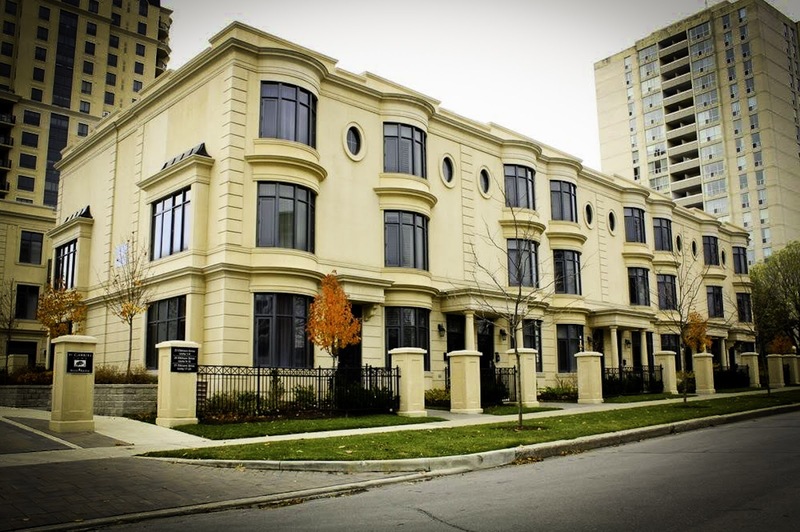 In 2012, there were 85,731 resales in GTA through MLS. 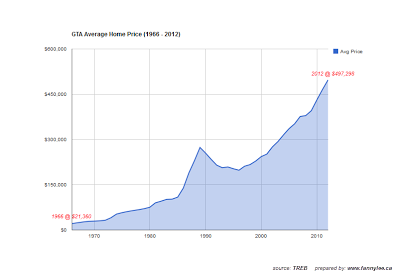 The average home resale price was $497,298 representing nearly 7% increase from 2011. Since TREB tracked GTA home sale price in 1966, the average home price grew from $21,360 to $497,298 (23 times) in these 46 years. In other words, GTA home value has grown with an average of +7% every year from 1966 to 2012. Wishing all a very merry 2013. 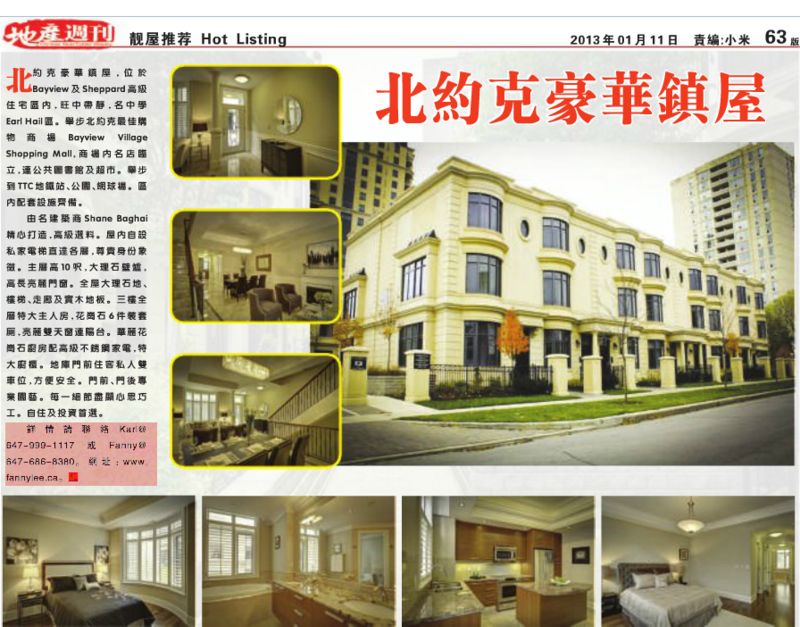 Chinese Real Estate Weekly (地産周刊) had an in-depth article on Living Realty Brokerage on Dec. 21, 2012. 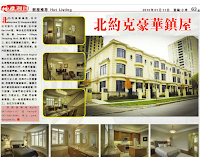 First, they interviewed our Chairman Stephen Wong about the multi-pronged development of the entire group: Living Property Management, International Home Marketing Group, Living Construction and Brokerage. 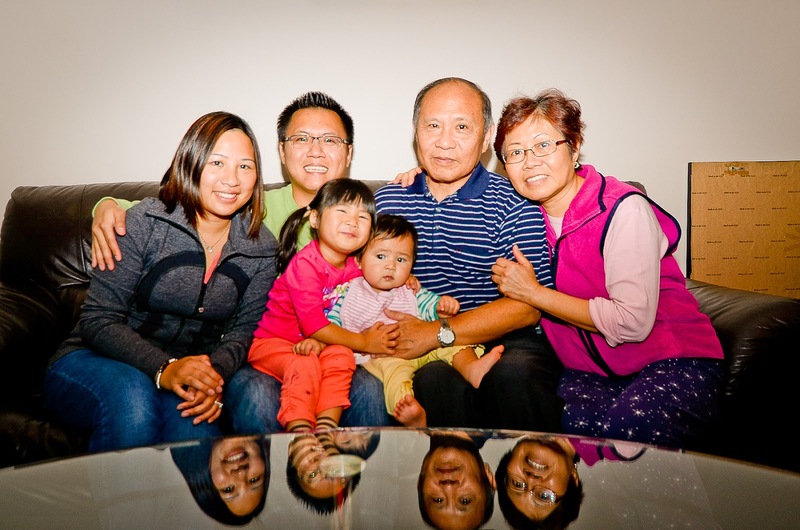 Then, CREW talked with our branch manager David Wong about Living Realty brokerage business. Karl and I, also shared our views on having Living as our brokerage. Interested? You can read at CREW, here, or the extracted text below. ENJOY.